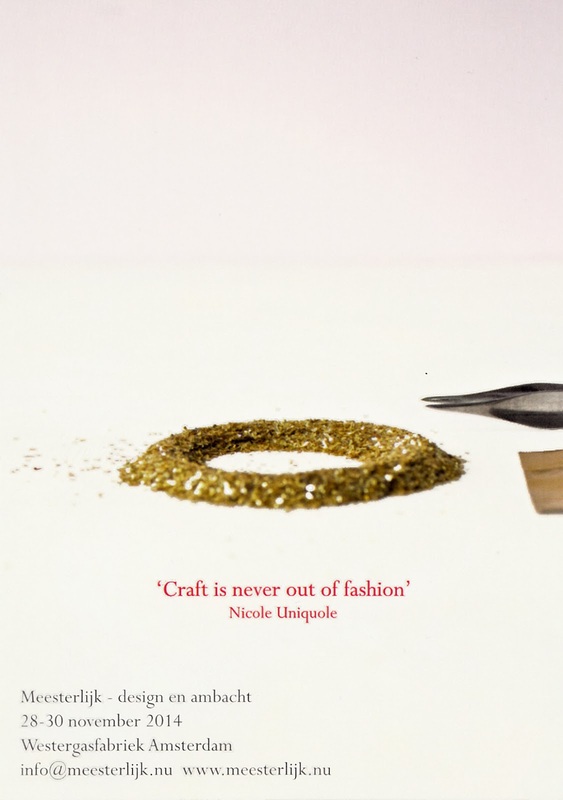 A few weeks ago I bought the beautiful book ‘Dit is meesterlijk‘ from Nicole Uniquole, about the unique qualities of craft. Everything about this well-designed book invites you to pick it up and actually read it. I think everyone recognizes the feeling that you browse through a book, take a good look at the images or pictures and you might do that two or three times and after that the book ends on a big pile of other books you never will read. This book is different, I actually read everything, and enjoyed every part of it. Of course it is about my passion; craft – but these days everything is about craft. Craft is hip and happening. A lot has been written about this topic, but only few articles involve the past in their story. This books analyses craft over the years and link it at the dynasties in the 14th and 15th century. One of the conclusions is that craft is not only craftsmanship, but also art, originality and love. Contemporary craft mixes these old techniques and knowledge with new materials and productions methods. 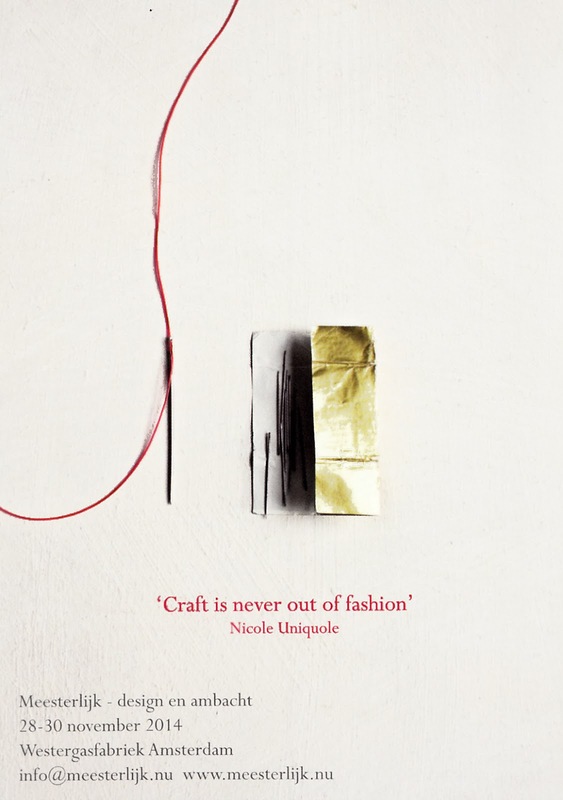 What makes craft so special according to this book? In response to mass production, pollution and uniformity people want transparency. Products and their raw materials should be traceable, so people get back their trust in products and manufacturers. 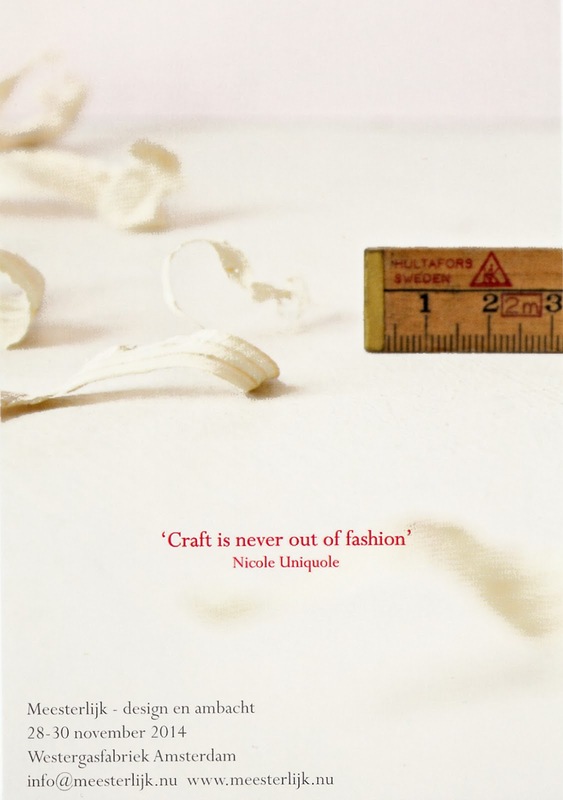 This narrative power also provides craft with its distinctive value. Who knows and experienced the dedication with which crafts have been made, will never non-committal purchase such a product. In November 2014 Nicole Uniquole will again organize the event ‘Meesterlijk’ in the Westergasfabriek in Amsterdam … perhaps there will be a new book as well … I hope so, because it’s well-designed, informative ans inspiring! 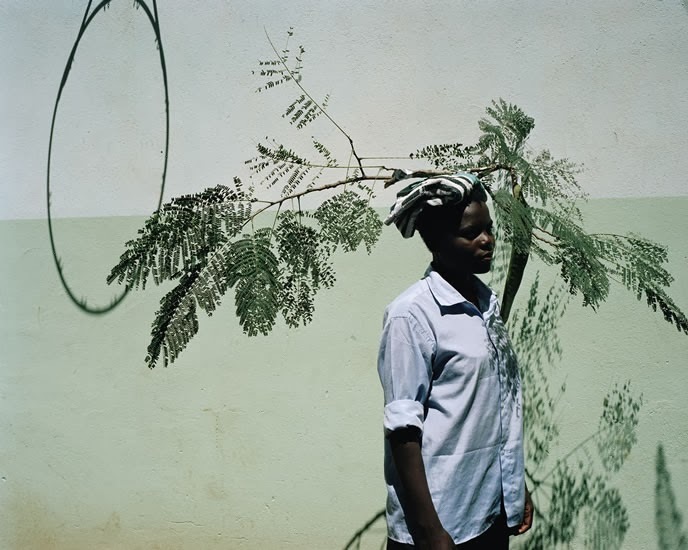 Sometimes it is nice to visit your old friends in the bookcase, such as Vivianne Sassen’s photo book Flamboya. After visiting an exhibition you often buy a book, read it, it’s on your coffee table for a few weeks and after that it disappears in your bookcase, because there are so many other things to see, to explore, to read. But, after a few years, it is always nice to read and explore those books with fresh eyes. I bought this book before starting as a bookbinder, just because I liked the photographs and the opening text by Moses Isegawa. 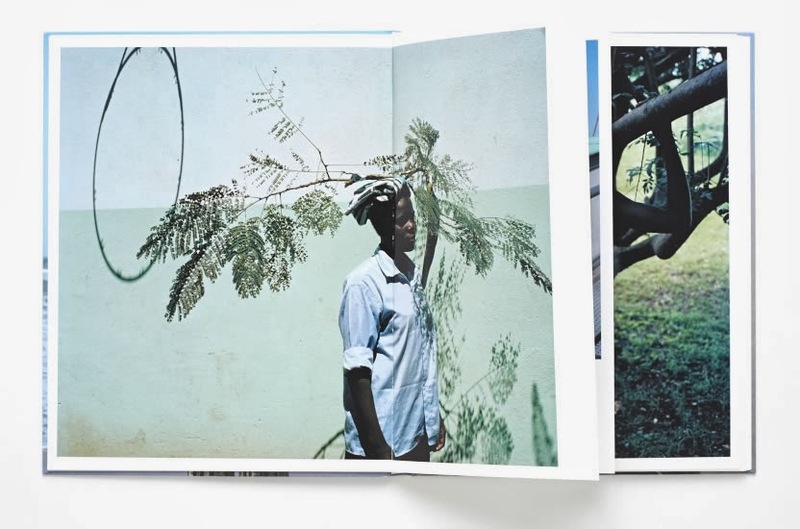 What strikes me today, besides the photographs, which I still admire deeply, is the way this book has been bound. 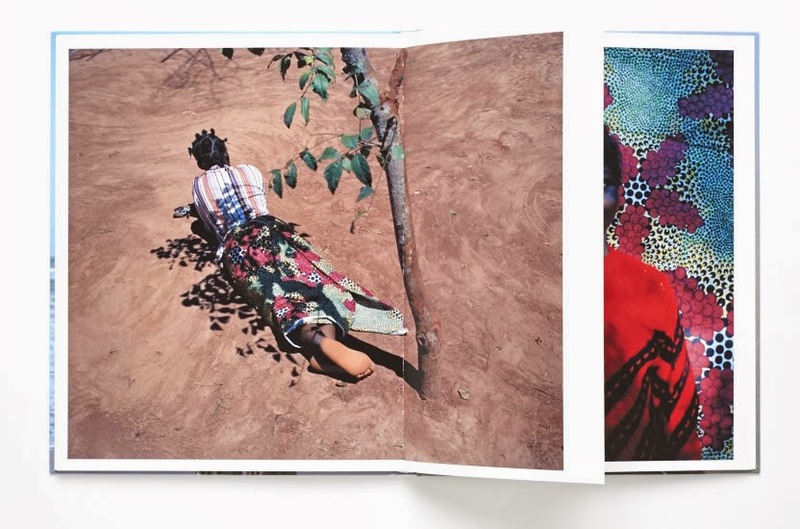 To do justice to the photographs, they are printed book height in the right proportion, which means that a picture is often wider than one page. The solution is that the quires consist of cut off pages. Besides a good platform for the wider photographs, it also offers an exciting view to the next page. 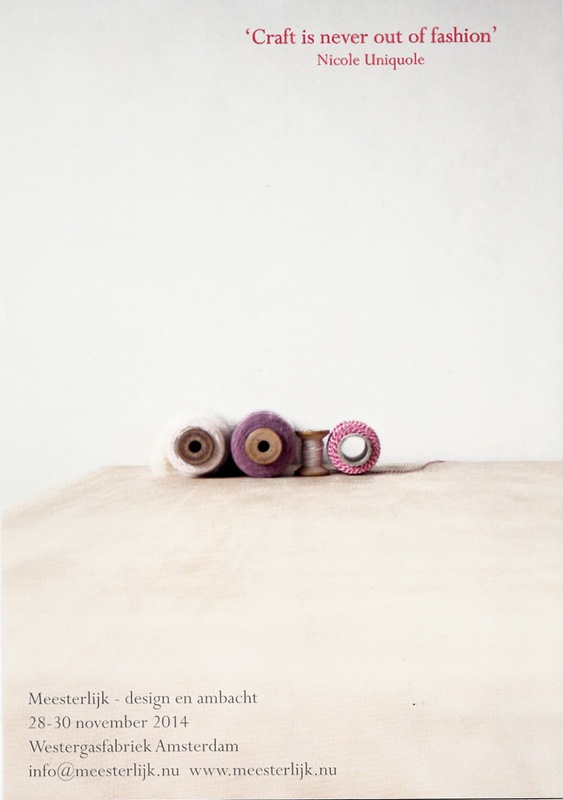 White white white … my favourite colour… exhibited in the Nederlands Fotomuseum in Rotterdam… in one word beautiful! According to Anne van der Zwaag – the curator of the exhibition- white is no colour and in the same time a mixture of all colours. White can be inspiring, but also intimidating. In short: White is interesting! Visiting the exhibition was blissful. Some artists or art works really caught my attention; for example the capriole haute couture by Iris van Herpen, Aart Klein’s photo of an ice skater and the closed eyes in a white face by Erwin Blumenfeld. All very inspiring, BUT there was also the Chanel No. 5 Book of Irma Boom, a Dutch Graphic Designer specialized in unusual (art) books. 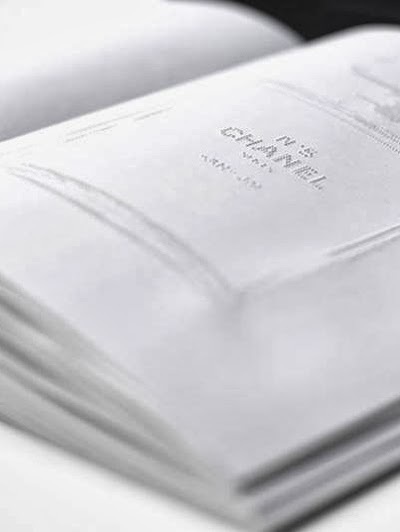 Her beautiful white book, reflecting the world of Coco Chanel, was exhibited in a showcase, but luckily there was also one copy you could browse through. Of course with the white museum gloves on :), but I have to confess I also touched the book with my bare hands… You really have to touch this book, because Irma Boom made the pages very tactile by using only embossed images and text. To preserve the die-stamp-printing the pages were not cut and the book is softbound and not squeezed. If you want to learn more about this special book, check out the short movie where Irma Boom explains some things about The Chanel No. 5 book.